After final exams ended, work wasn’t complete for one group of Drexel students. As the final component of an international business consulting course, they spent part of their winter break presenting to one of the world’s largest sports and entertainment companies. Students enrolled in International Business Consulting (MGMT 380), taught by Christopher Finnin, clinical professor of general business, spent the fall term developing business solutions for AEG, a global sporting and entertainment organization. Their projects focused on a new arena opening for the Lausanne Lions Hockey Club (LHC) in Lausanne, Switzerland. 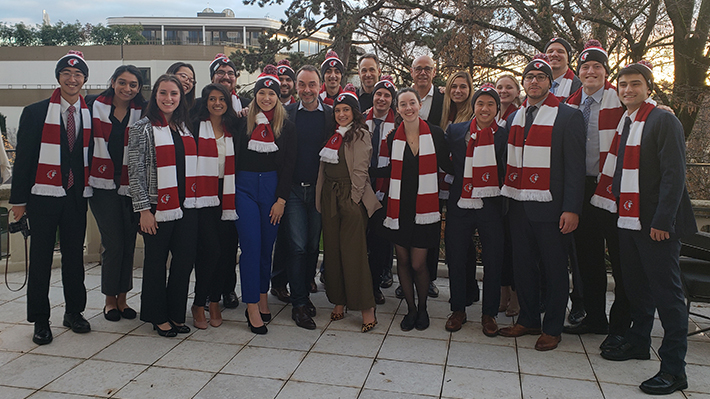 Students formed teams to conduct research and develop recommendations for Lausanne’s new arena, prioritizing three areas of focus: venue transition, additional revenue opportunities and strategic partnerships. As part of their research, the class met with executives from Philadelphia’s Wells Fargo Center, home to the 76ers and Flyers, to gain insights into the operations of sport and entertainment venues. At the end of the course, students traveled to Lausanne to present their recommendations to AEG and LHC executives, including Drexel alumnus Rich Krezwick, a 1981 graduate and senior vice president with AEG and a member of LeBow’s Sport Management advisory council. While in Lausanne, the class also visited the headquarters of the International Olympic Committee for a presentation about brand management and a tour of the Olympic Museum. After the students wrapped up in Switzerland, sports also played a role in the next leg of their trip: Rome, home of one of the oldest sports venues in the world – the Colosseum. A visit to Italy’s capital provided an opportunity for the class to visit Daniel Korschun, associate professor and Stephen Cozen Research Scholar in Marketing, who was teaching at Libera Università Internazionale degli Studi Sociali Guido Carli (LUISS) through a Fulbright award. Professor Korschun invited Italian business students to a joint class to discuss differences between American and Italian business culture and practices. 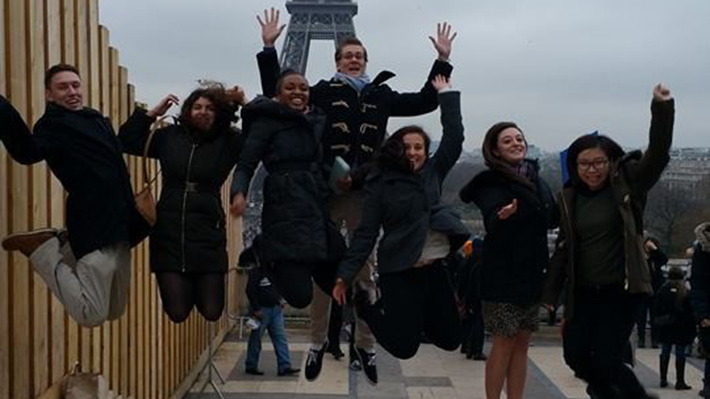 Students culminated the international business consulting course in Lausanne and Rome.